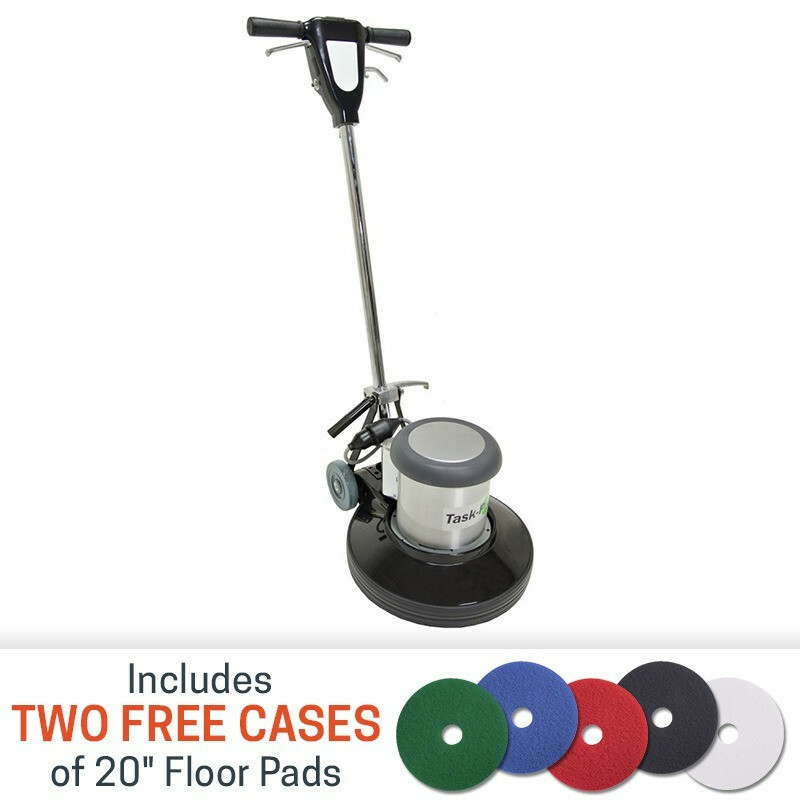 With features like a heavy-duty 1.5 HP motor, triple planetary transmission, adjustable handle, 5" transport wheels, non marking bumper, and safety switch levers, this versatile machine is perfect for for anyone that needs to buff, scrub, strip or polish hard floors as well as clean carpets! The dual capacitor start up helps in those extremely tough start up situations, like those involved in stripping floors and scrubbing carpets. We're so confident in this workhorse of a machine that it comes backed by a 5 year power train warranty, and a 1 year warranty on parts and labor. If you're looking for something a little smaller, check out this machine's little brother - our 17 inch floor buffer polisher. 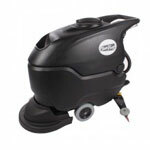 We carry many other low speed rotary machines or two speed floor buffers if you're looking for additional options. You're sure to find one that fits your specific needs. Fully adjustable handle locks into place for any sized user. Non-Marking bumper protects surrounding objects as you scrub or buff. 50' vinyl jacketed cable provides a large scrubbing area. 3 year power-train warranty, and 1 year on parts and labor.